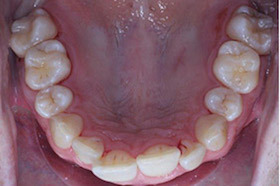 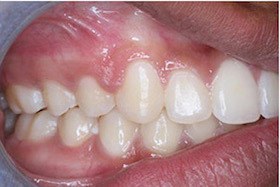 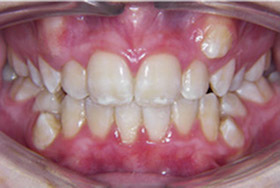 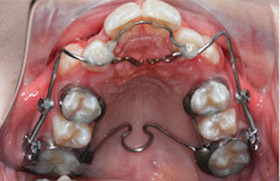 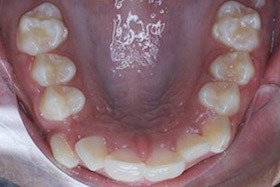 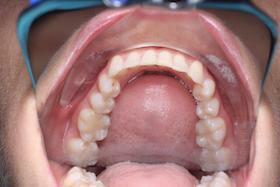 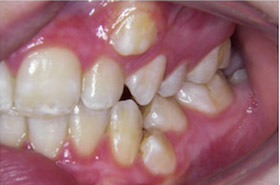 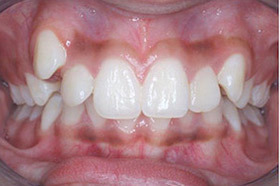 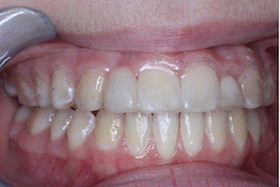 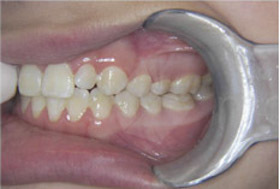 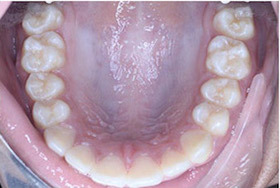 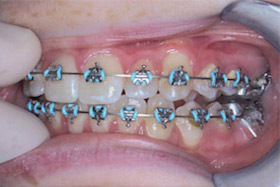 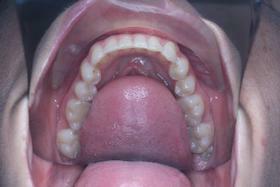 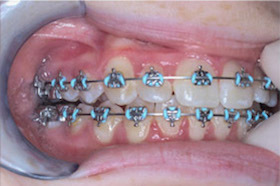 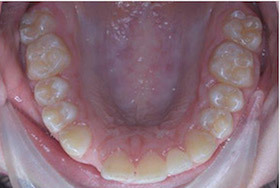 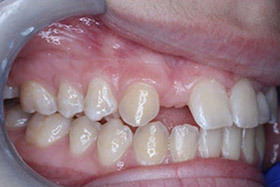 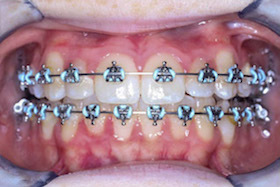 Severe crowding with completely blocked out upper canines and lower first molars. 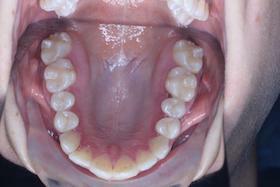 After four months of treatment with an upper growth modifer. 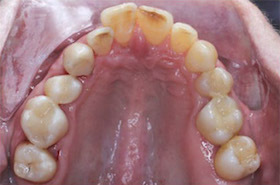 No extractions were necessary. 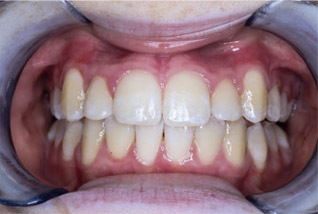 After fourteen months of treatment. 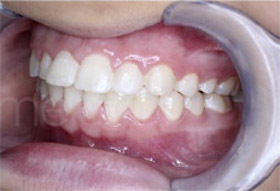 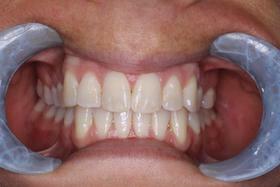 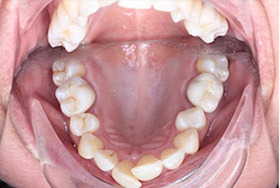 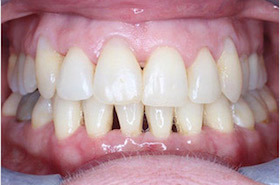 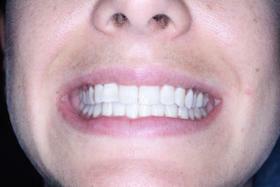 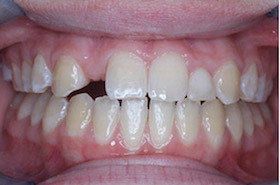 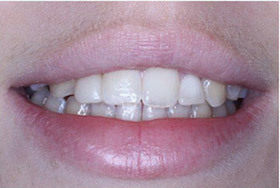 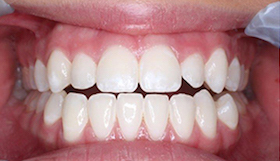 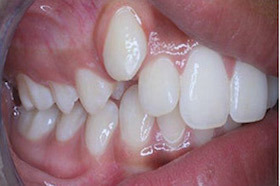 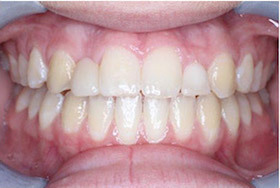 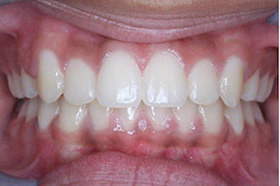 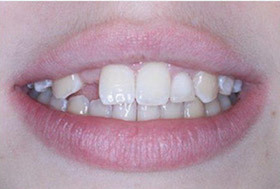 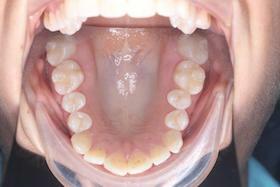 All teeth are in alignment with no extractions. 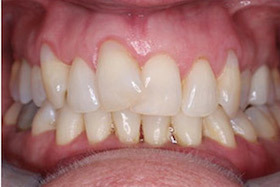 Treatment completed in twenty months. 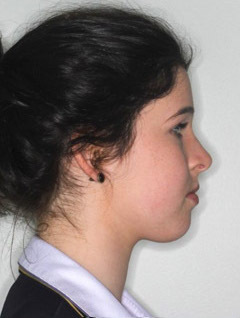 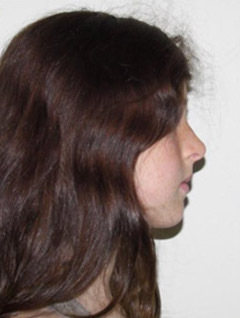 Showing a fuller more balanced profile after treatment. 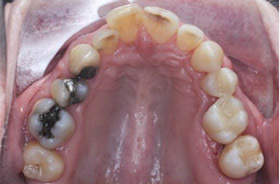 Old leaking metal amalgam restorations before replacement with composite restorations. 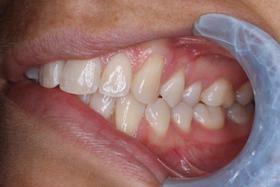 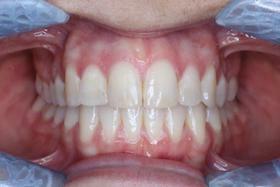 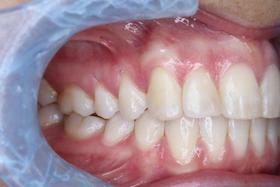 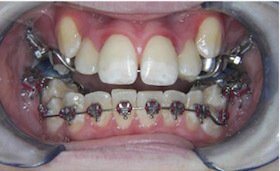 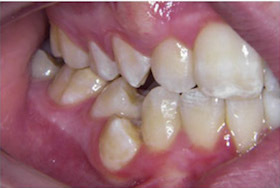 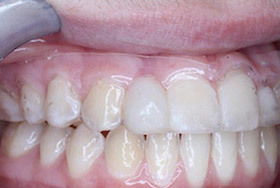 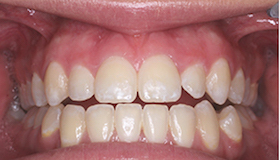 Left side metal amalgams replaced with aesthetic tooth-coloured composite restorations. 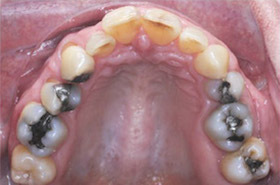 All amalgam restorations replaced with aesthetic tooth-coloured composite restorations. 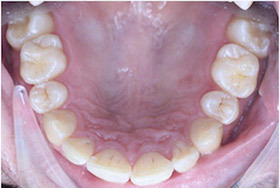 Undersized upper left lateral incisor. 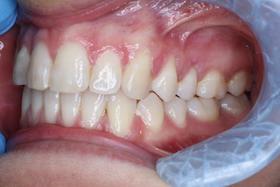 Cosmetic build up with composite resin.